Ladies & Gentlemen – we have a winner! 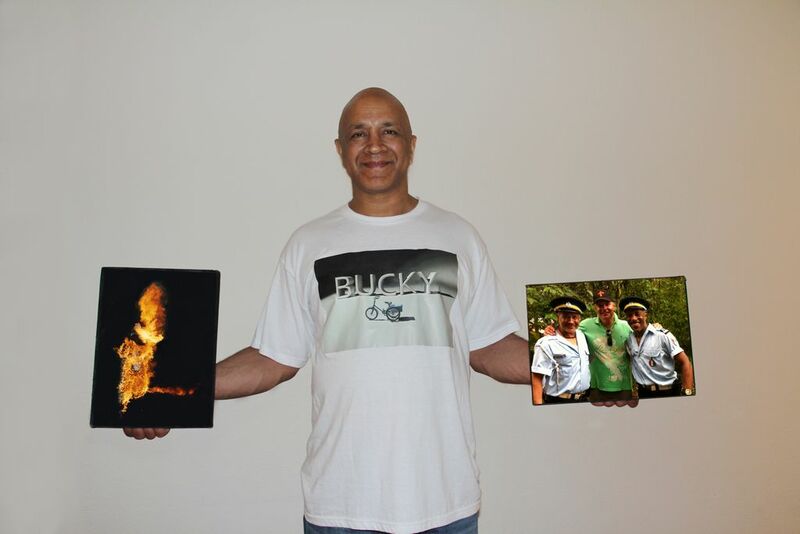 A few days ago Danny challenged the Photoshop geniuses on Twitter to a simple competition – all they had to do was to use their skills to combine two pictures onto a picture of Death In Paradise stuntman Nrinder (wearing one of our cool Bucky T-shirts) and then send their work back to Danny for judging. The competition was fierce and talented giving Danny a hard time picking the best picture however he finally chose a winner: Garry Vaux of Surrey. Congratulations! For his fantastic efforts Garry has now joined the honoured ranks of being an investor on the Bucky film and has winning picture shown below. This entry was posted in Bucky, The Shoot by admin. Bookmark the permalink.